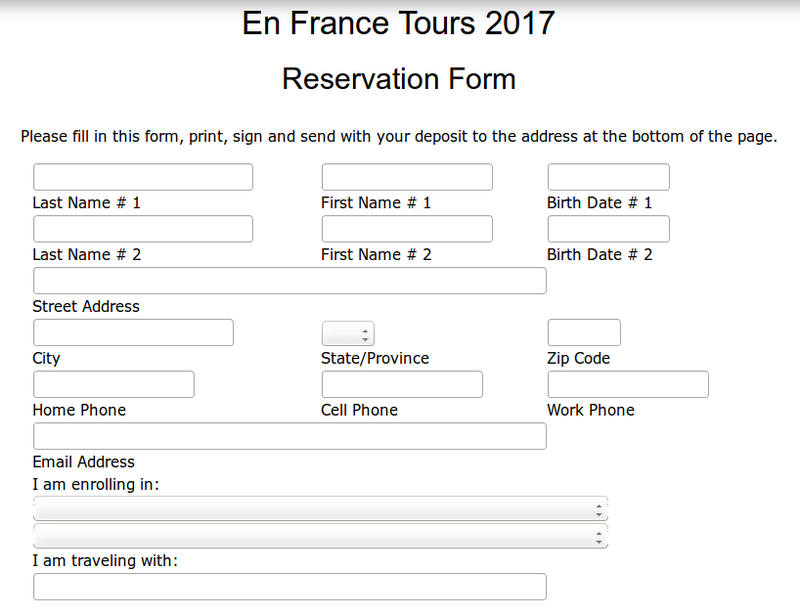 You have 4 options to book the tour you have selected. Open, fill out, print, sign and send with your deposit. Click on the link Open Web Form below to open the page. Type and select information to complete the form. 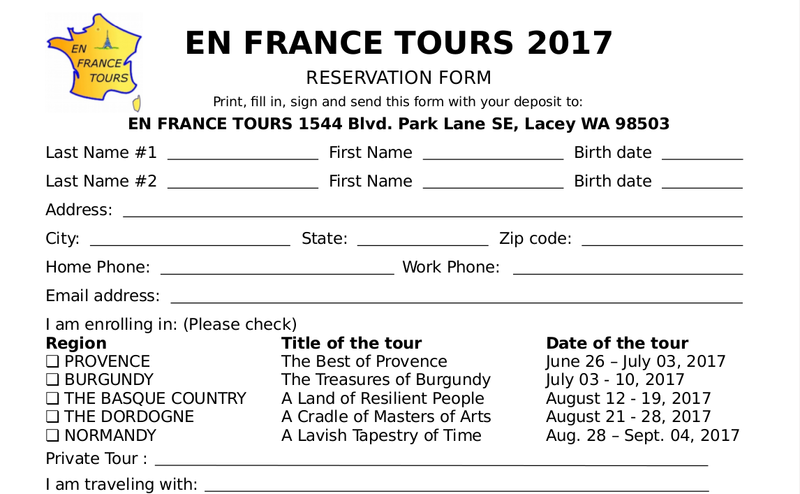 Sign one copy of the form and mail it to En France Tours with your deposit. Download, print, complete, sign and mail with your deposit. Sign and mail it to En France Tours with your deposit. on the tour you have selected. and to reserve your place for your next trip to France.